You Only Have One Night...So Let's Do It Right! Elite Entertainment of Florida has been providing quality entertainment in Central Florida & Northeast Ohio for over 14 years. We believe that every wedding reception, party, and corporate event is unique in every way. Elite Entertainment believes in forming a sincere relationship with its clients. We believe that you must know your clients before you can properly serve them. That is why each client will personally meet with the DJ that will be handling their event, guaranteeing your special evening will happen just the way you’d always dreamed. Each of our disc jockeys is professionally trained to handle any type of event. 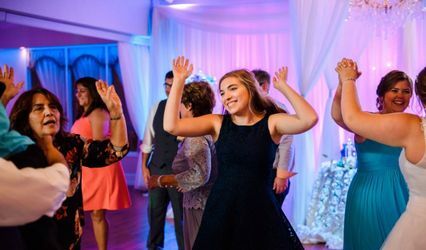 Whether you are looking for an out-going disc jockey to get all of your guests out of their seats, or you prefer a more reserved personality for your elegant evening, Elite Entertainment of Florida is the perfect complement to your special event!
? ?• Your event will ALWAYS be unique & customized to your standards.
? ?• Your event will NEVER be "cookie-cutter"
?? ?• You will ALWAYS have great music & entertainment all night long?.
? ?• Your Disc Jokey will ALWAYS be Professional & Personal.
? ?• You will have an UNFORGETTABLE evening. ?• You will have pre-event planning meetings with the Disc Jockey that will be at your special event at no extra charge. Nick was awesome, just awesome. I cannot thank him enough for somehow getting EVERYONE on the dance floor...all night long. 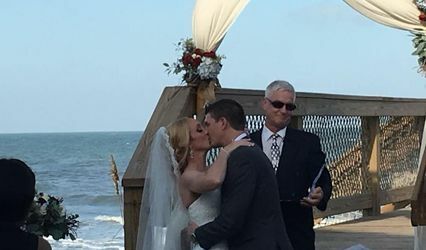 He played a great selection of music, had an amazing personality, and even taught my whiter than white bread husband how to Wobble. I mean...could a girl ask for anything more? Nick was amazing! Hi energy and crowd pumping, with great music selection and variety for all genres and decades. Up lighting and photo both services were excellent as well. On time, highly professional and very organized. We would recommend nick's services for any special event! Receive $50 in Elite Wedding Bucks! This coupon is good for $50 in Elite Wedding Bucks that can be used on ANY wedding package with Elite Entertainment of Central Florida!